In today’s world attribution modeling has become one of the biggest challenges. Many companies take outside assistance to get a hinge on their overall profits or revenue. At times, assessing the value of the marketing strategy, by connecting through various touch points can become quite a task. 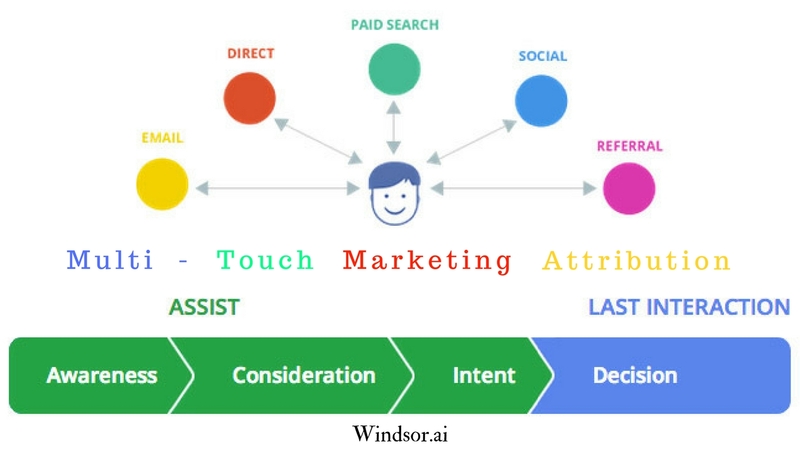 Advertisers generally use a variety of attribution models, but one of the most common ones are the multi-touch and the last touch attribution modeling technique. While leveraging an approach there are different things we need to consider, like the platform it is being used for, the purpose and the expectant results. So, in order to make substantial comparisons, we need to understand about each of the attribution modeling tools along with their pros and cons. A multi-touch modeling technique takes into consideration more than one or multiple touch points of a customer’s journey before he finally makes the purchase. Or we can say that before a customer final conversion, all the touch-points are to be considered in a multi-touch modeling technique. This technique includes the time decay, linear as well as custom modeling technique. Now let’s understand some advantages and limitations to completely get an insight this method and how it can be helpful for the owner and his business. You can get a detailed insight and information on all the touch-points in a customer’s journey and give credit to the appropriate ones before the final conversion took place. Since as a business owner you can get a bigger and a clear picture of all the routes that the customer is following just before making it to the final website. The owner can get a clear overview of various marketing tactics and the spent that is to be allocated to the upper and lower funnel. Various marketing channels can have a significant impact on each other. By using the multi-touch attribution technique it can capture performance in a much detailed manner. As an overall result, this method can give a whole lot of information. At times it can become a little difficult for the client to separate or categorize entire data received from various channels. Various platforms which didn’t lead to final conversions can at times be overvalued. It can become quite challenging to assign a value to each and every platform through your multi-touch attribution model. This modeling technique is a single touch technique wherein it gives 100% credit to the very last touch-point where the customer went just before making the purchase. It is important since whatever came just before the final touch pushed over the edge the person into becoming a customer. It is believed that it worked and got the results. The last touch attribution is the validation that all the marketing efforts before the lead to finally land him to that channel are working. It basically works in support of the business. Since there is only one touch-point to be considered, it is rather a simple step for the business owner to consider that and assign credit that touch-point. Since the owner clearly knows the last touch or platform the customer visited just before coming to the final landing page and making the purchase, he can have a much clear picture of the last clicks and views preceding a conversion. It may seem to be quite simple yet, if you only track the lack click, it can become a little hasty at times as it would not show how the customer found out about the brand. This could result in inadvertently moving the budget away from the channels which drove the customer to engage with your brand. Attribution modeling in Google Analytics has pioneered the overall last-click model attribution model. Recently, however, there has been an industry-wide shift from the traditional techniques. As customers journey has been increasingly becoming complex, the marketers are now starting to experiment with some new ways of approaching the multi-touch technique.